5 ways of using positive advertising to grow your business. People trust brands with social interest, from “who made my clothes” campaign to groups of angry parents calling out brands to disclose the list of ingredients on their children products, social media has become a channel to demand transparency from brands, and companies that do so, are rewarded with trust. A great way to build trust and engage with your clients is to use advertising as a tool to promote social good. 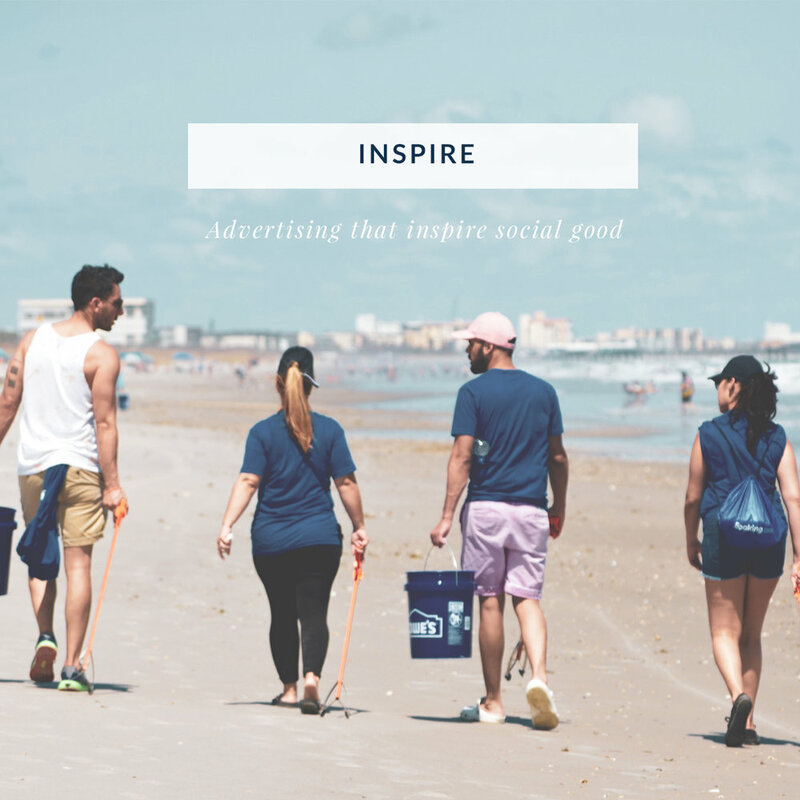 Possibilities are limitless but we put together a list of 5 ways of using advertising to inspire social good and drive more sales. Providing free access to details of your services and how your products are made is a fantastic way to open up to your clients. One excellent example of a campaign focused on building trust is the campaign created by Patagonia, who made a beautiful set of adverts about fair trade that feature their employees and their practices. Every business has a personality in the same way an individual does. Companies have values, likes and dislikes, and these unique set of beliefs are what makes your brand unique. If you feel particularly touched by human rights, diversity and equality you can use this as fuel for your marketing. By standing for what you believe in, people can relate to your brand. As business owners and entrepreneurs we're in a unique position to make positive changes that have a broad impact, so why not taking a challenge and building a campaign around a subject that really interests you and take it as an opportunity to make a positive change. Can you modify your production process to make it more eco-friendly? Or stand out for diversity and make your office/business a place that embraces diversity inspire other business owners to do the same? There are so many different ways to take on a challenge to make something good for our environment, and when you document this on a film form (branded content, documentary or short promos), the engagement from people will come from a place of trust and hope. How can your service or product serve communities around you? If you open up to the people that are closer to you and your business you can strengthen your relationship with your clients and people from other areas as well. Making fun activities, meeting new people and creating spaces where people can share, is a great way to advertise your services or product organically. Using these real experiences as opposed to making a scripted commercial work much better to build trust and get people talking about your brand. The love that goes in every handmade or custom made product design by a local entrepreneur cannot compare to the process of a big company. Selecting your suppliers in a way that represents your values is as important as the product you’re delivering. You turn now, what campaigns that inspire social good you love? Have you thought about using advertising as a force for good?